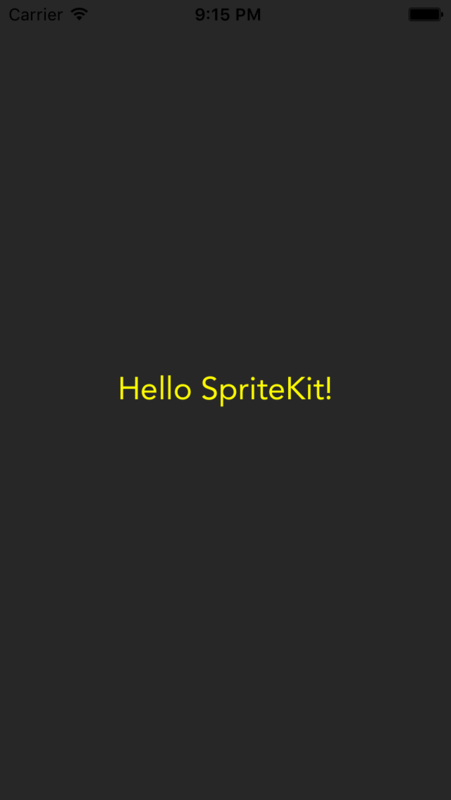 Welcome back to our SpriteKit tutorial series. In the first part of the series, you have centered the label on the screen using scenes, nodes and points. In the series second part, you have moved the label on the screen using actions, sequences and gesture recognizers. In this part, you are going to learn all about scaling in SpriteKit by shrinking and growing the label when you tap on it. This tutorial assumes that you have already done the first two parts of the series. If you haven’t actually done them yet, then download the starter project for this part and go on from there. Actions that scale to a certain value – these actions are straightforward and can’t be reversed. Actions that scale by a certain amount – these actions can be reversed, so you may use them in order to create repeated sequences of animations. If you haven’t done the tutorial series second part yet and don’t know what a reversed action is, don’t worry because we’ve got you all covered here. We’ll explore all types of scaling actions in this tutorial from simple to complex so you know when to choose what. Now it’s time to start to learn scaling! Line #1: You create a scale to action with the scale(to:) static method from the SKAction class. The action defines a one second animation which makes the label smaller. You use a floating point number for the scale argument because you want the label’s final size at the end of the animation to be just a fraction of its original one – only half in this case. Line #2: You make the label run the action with the run(_:) instance method from the SKNode class in the exact same way as you previously did with the movement actions in the tutorial series second part. The label scales nicely now but there is only one problem: the scaling animation happens each time you tap anywhere on the screen. It would be really great if you could actually shrink the label only when you press exactly on it. There are three ways to solve this problem and we are going to explore all of them in the following sections. Line #1-2: You determine the tap’s location and convert its corresponding point from view coordinates to scene ones – we already did that in the tutorial series previous part, so nothing new here. Line #4-7: You check if the label is located on the screen at the point determined at the previous step with the atPoint(_:) instance method from the SKNode class and scale the label accordingly like before if the test succeeds. 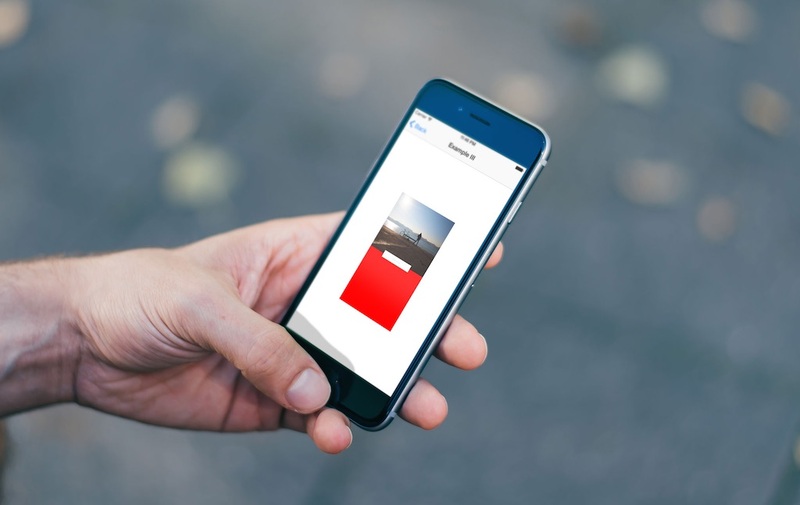 Now run the app, tap anywhere on the label and voila – the label shrinks as before. Notice that nothing happens this time if you tap anywhere on the screen outside of the label itself. That’s it for the first approach – time to see the second solution in action. You test if the label contains the tap’s location corresponding point with the contains(_:) instance method from the SKNode class and shrink the label if the method returns true. Run the project, tap the label and see it shrink all over again. That’s it for the second solution – believe it or not, there’s actually one more approach to this problem, so let’s see what it’s all about after all. First, determine all of the nodes which are positioned exactly where you tap the screen. Then check if any one of them is actually the label itself. Line #1: You determine all the nodes that are located at the tap’s corresponding point with the nodes(at:) instance method from the SKNode class. Line #3: You loop through the sceneNodes array determined at the previous step with the for in statement. If you’re a beginner of Swift, you can read more about Swift loops in my tutorial here. Line #4: If the current node is the label, you scale the label accordingly as before. Line #7: You don’t need to actually check all of the other remaining nodes in the array if you have already found the label, so you bail out early from the loop with the break statement in this case. Now go ahead and run the app once more, tap the label and it automatically goes to half its size as usual. Three completely different solutions to the same problem – now that’s really something, isn’t it? Take a very well deserved break and when you feel ready to continue, let’s move on with some more scaling! You use the scaleX(to: duration:) static method from the SKAction class to shrink the label to only half of its current size on the horizontal axis. We are using the contains algorithm here in order to determine if the user tapped right on the label. Feel free to try out the other two ways presented earlier as well and see what happens. Note: If you skipped your Maths class in high school, just remember that X stands for the horizontal axis and Y stands for the vertical one. You can read more about all of that right here. Now run the project, tap the label and see for yourself how the label shrinks on the horizontal axis by magic! That’s it for the horizontal X axis – time to see its vertical Y counterpart in action. This time you grow the label to twice its original size on the vertical axis with the scaleY(to: duration:) static method from the SKAction class. Run the app again, press on the label and voila: it’s twice as bigger on its vertical axis – way to go! You’ve already learned a lot about scaling so far but there is still one more use case left: scaling on both axis with different scale factors for each of them. This is actually the most general case of all, so I left it at the end – time to see how it works. The scaleX(to: y: duration:) static method from the SKAction class combines both of the scaleX(to: duration:) and scaleY(to: duration:) methods which you’ve already seen in action. In this case, you are shrinking the label to half its current size and growing it to double its original one in one go – pretty cool, right? Run the project and tap the label to see it all happen – this is the real power of scaling. That’s it for the actions which scale to a certain value. Now it’s time to tackle the ones that scale by a certain amount and create some really cool sequences with them. Line #1: You create a scale by action with the scale(by: duration:) static method from the SKAction class. The action defines a one second animation which makes the label twice as smaller than before. Line #2: You reverse the previously created action with the reversed() instance method from the SKAction class: it behaves in the exact opposite way as its counterpart. Line #3: You declare the actions array which contains the scaling action itself as well as its reversed counterpart – it will come in handy at the next step. Line #4: You define the sequence of actions with the sequence(_:) static method from the SKAction class by using the actions array declared at the previous step as the function’s only argument. Line #5: You run the sequence on the label and the actions are performed one at a time in the exact same order in which they are already defined in the actions array. Note: If you have already done the tutorial series second part, you may have noticed that the whole process of creating a scaling sequence is quite similar to the movement one. 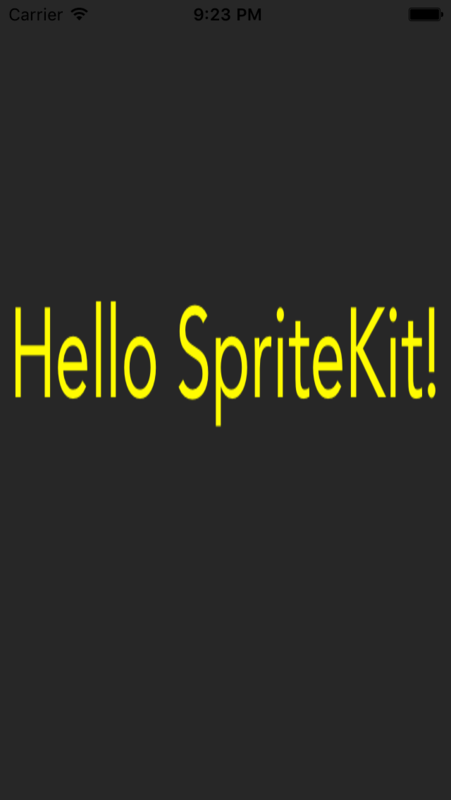 Check out the previous tutorial in the series for more details about SpriteKit sequences. Your scaling sequence works just fine, but what if you want to create a sequence that scales differently on each of the two scaling axis? Let’s see how you can easily do this in the next section. That’s it. You just plug in the corresponding scaleX(by: y: duration:) static method from the SKAction class into the sequence creation logic and you are done. The rest works exactly as before – how cool is that? Run the project, press on the label and see the magic in action. The label first shrinks on the horizontal axis and grows on the vertical one. Then it grows on the X axis and shrinks on the Y one in order to go back to its initial dimensions. Now that you know how to work with scaling sequences, let’s take everything to the next level with scaling loops. You repeat the previously created sequence with the repeat(_: count:) static method from the SKAction class. It works in the same way as with movement sequences, so you can read more about it in the tutorial series second part. 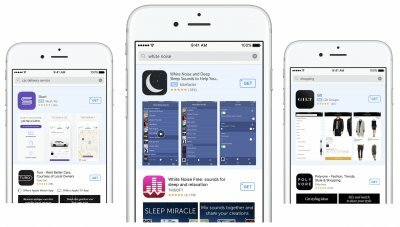 Go ahead and run the app. Tap the label and you will see the label growing and shrinking for five times. You can actually do better than that – time for infinite scaling loops. You create the endless scale loop with the repeatForever(_:) static method from the SKAction class. If you feel that this all looks very familiar to you, you are actually right because we have already used it in the tutorial series previous part in order to create the endless movement loop as well. Now run the project, press on the label and voila – the label changes its dimensions on the screen like there is no tomorrow after all. We’ve covered a lot about scaling in this tutorial. It’s time to put it all together! You first define the move and scale actions, then declare the actions array out of them, create the corresponding sequence from the array and finally run the sequence on the label. Run the app, tap the label and watch how the label moves and scales in an ordered sequence. There is only one problem: if you press on the label more than once, it actually just moves because it scales only once. Let’s fix this in the following section. You replace the scale to action with a scale by one instead. Run the project and notice that the label moves first and scales after that accordingly whenever you press on it now – good job! That’s it – time for a well deserved break! 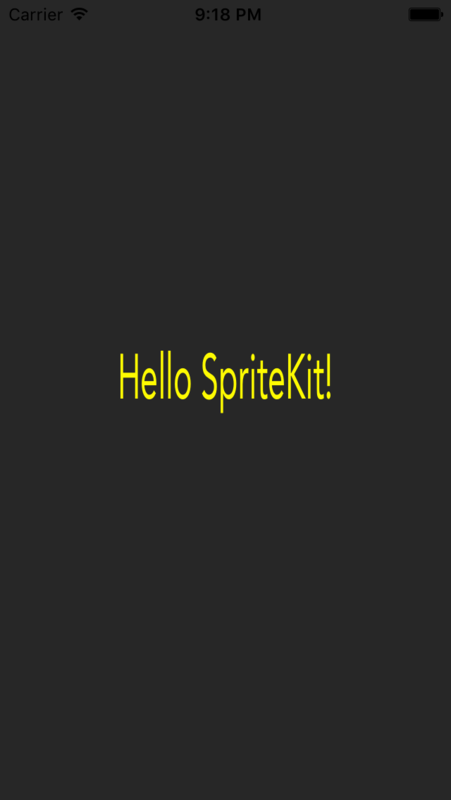 That’s all about scaling in SpriteKit. 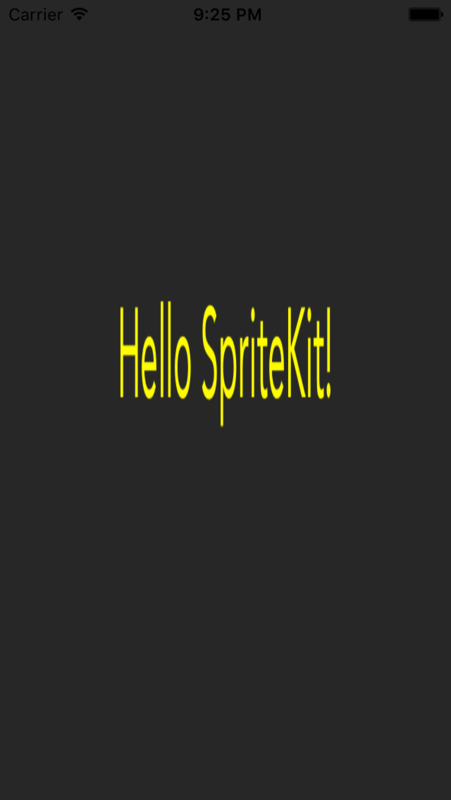 In the next and final part of the tutorial series you will learn how to rotate the label when you tap on it and wrap everything up with SpriteKit groups. Stay tuned and in the meantime if you have any questions or issues, please let me know! For reference, you can find the source code of the demo project on GitHub.